Whether you’re celebrating a big win or recharging from a full day on the fields, your tournament is going to eat. Delaware’s Quaint Villages offers a variety of options – from family favorites like pizza and tacos to adventurous eaters looking for the local experience. Kent County Restaurants also cater to evolving tastes and settings your team can look forward to during their stay. We have historic places to eat in Dover, DE like the Grey Fox Grille & Public House or Governors Café to the bayside crab feasts at Sambo’s or JP’s Wharf. With some notice, our restaurants can accommodate your group of 10 or more in their main dining area or a private room reserved specifically for your team. Let our team help you with your team’s reservations and dining needs during your tournament at Delaware’s Quaint Villages. 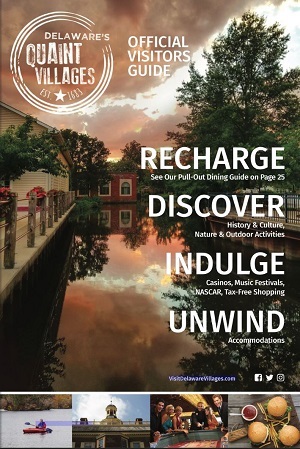 Contact John Doerfler, Sales & Event Manager, at jdoerfler@visitdelawarevillages.com or 302-734-4888 x103.